Aquatoria, IYT Partner School in Croatia, held its first Instructor Training Course in April under the guidance of IYT Representative, John Goode. The school is owned and operated by Yury Logushkin. 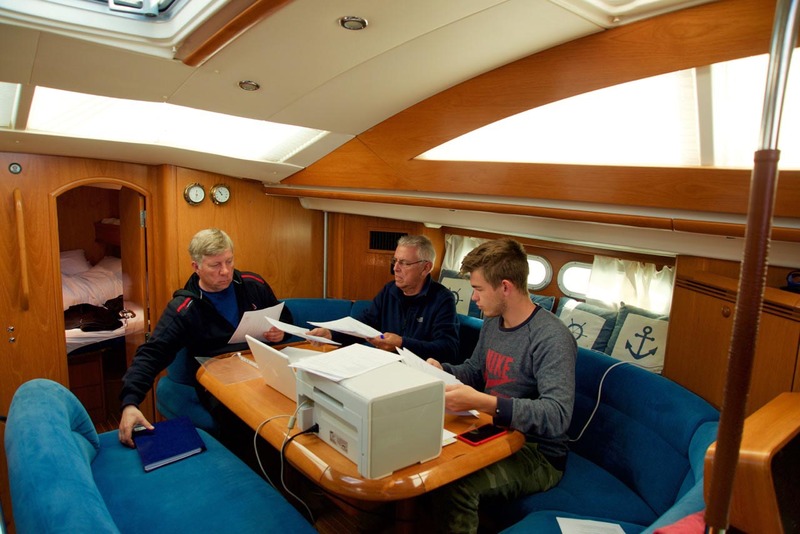 According to John, the course was conducted aboard Aquatoria’s exceptionally well found 54-foot yacht which proved ideal for both theoretical and practical training elements of the course. The course was a 7-day extended instructor course during which John passed on as many train-the-trainer skills as possible to the candidates. Among those onboard as observer, was Elena Morozova, an executive director of and examiner for the Russian Sailing Federation with over 30 years sailing/teaching experience. Elena came along to see how IYT instructors were trained. 5 candidates were trained for instructor status. Dmitrii Tartarchuk and Elena Morozova, were approved by John for IYT’s Yachtmaster Offshore Instructor Certification. Alexey Savinov, Viktoria Logushinka and Sergey Adarchenko were approved for IYT’s International Bareboat Skipper Instructor Certification. Join us in congratulating IYT’s new instructors!